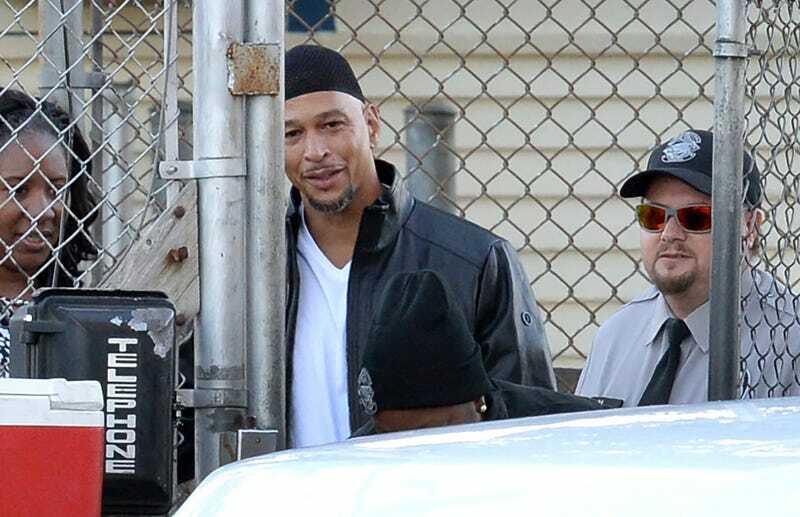 Former Carolina Panthers wide receiver Rae Carruth, who was convicted in 2001 of plotting the murder of his pregnant girlfriend Cherica Adams, was released from Sampson Correctional Institution in Clinton, North Carolina today. Adams died in December of 1999, a month after she was shot four times in her car by Van Brett Watkins, a gunman Carruth hired to kill her, because, prosecutors said, he didn’t want to pay child support. Carruth did not speak to reporters as he left prison today.